of the Charter Vanguard portal! Please register with us to see more, and fill in an application form if you'd like to join. WELCOME TO THE CHARTER VANGUARD! We are an international Guild Wars guild currently residing on the Henge of Denravi server. If you would like to join our family, please click here, and fill out the application form. All fields are compulsory apart from those marked with the asterix. FYI: All new members are encouraged to register on this forum and introduce yourselves. 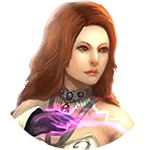 Once you do, you will be promoted to "Vanguard" level, which will allow you full access to guild facilities and decision making elements. At any time, you may request for an Acceptance Ceremony, in order to be more acquainted with the guild and its members. All members are encouraged to represent CV for as much of your time online as possible or stand to be removed.